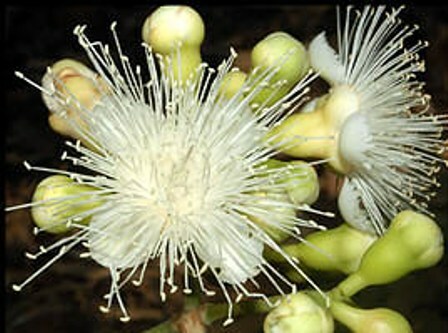 Synonym: Syzygium eucalyptoides ssp. eucalyptoides; Syzygium eucalyptoides ssp. bleeseri. White apple is a native of Australia. 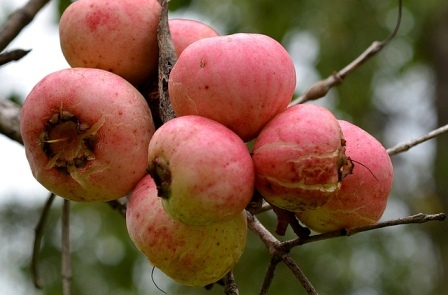 This fruit is found growing wild in North Western Australia to Central Cape York Peninsula. It can be seen there in open woodlands, seasonally flooded depressions and along rivers and streams. 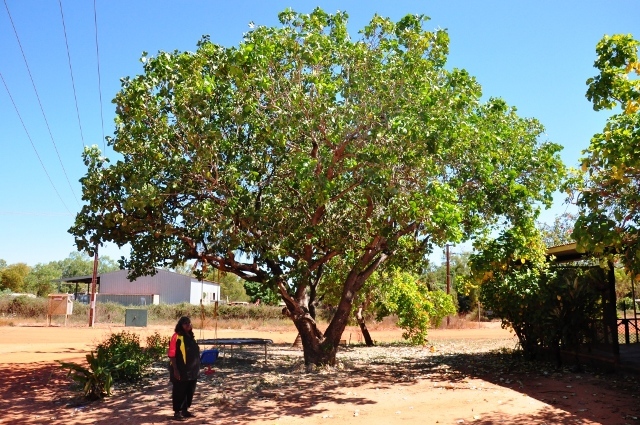 The fruits from white apple trees bear edible fruits which have been one of the popular sources of food of the Australian aboriginals. It is rarely known outside Australia. A small evergreen tree, upto 6 m tall. Leaves long, narrow and tapered on ssp. eucalyptoides and broad in ssp. bleeseri. Flowers white cream, showy, stamens numerous. White apple fruits are edible and have been a source of subsistence food for aboriginals for ages. So far no attempt has been made to domesticate this wild growing fruit and it is found in wild only.